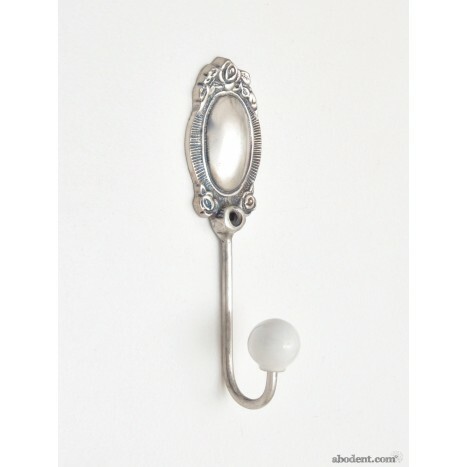 Like the back of a vintage spoon, this unique wall hook boasts a convexed silver dome offering a glimpse of your face within the floral border. Completed with a white ceramic knob at the end of it's long slender hook neck, this beautiful hook has a very special feel about it. Tags: silver coat hook, silver metal coat hooks, silver wall hooks, mirror hook, floral silver hooks.